I hope you had a pawesome weekend! Me and the DOGTV team traveled to Los Angeles this weekend, to participate in “Woofstock 90210”, the annual dog festival in Beverly Hills. We had a great time! Feel free to watch our videos from the festival on our Facebook page (like this video with the mayor of Beverly Hills!). Today’s guest writer is Emma from the Australian pet site, petsofoz.net. Emma is a lover of animals and words. She has worked in different roles in the pet industry for just over 10 years. She now combines her love for writing and pets as an editor at Petsofoz.net. Emma is discussing some common emergencies in dogs – so please read carefully as these are important! A lot of dogs just love to live life to the full. With boundless energy and a desire to explore, they have a lot of fun, but it’s fun that can occasionally get them into trouble. Bumps, scratches and bruises are part and parcel of a dog’s life and for the most part they are just shrugged off, and off they go again. Sometimes, though, they can be quite serious and require emergency treatment. There are some emergencies that are fairly common among dogs of various breeds. Whether it is the sight of a cat, a squirrel, or for no apparent reason, even well-trained dogs can occasionally bolt off in any direction unexpectedly. Unfortunately, this can often mean running across a road, and with tragic consequences. If your pet is hit by a vehicle then you should be sure to take them to a vet as soon as possible, even if they do appear to be OK. While appearing to be fine on the outside, they may have suffered internal injuries that need urgent treatment. Dogs are generally not known for their great table manners. They can have a tendency to scoff food quickly, and gorge themselves on too much. They might also go running immediately after a meal. These can lead to a quick and significant build-up of gas in the stomach. 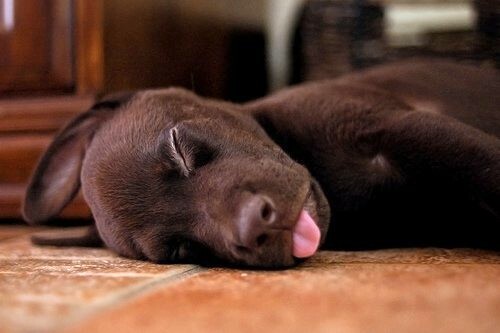 When this happens, your pooch might need help, and quickly. As the stomach fills with gas, it expands like a balloon, pressing it against the other internal organs. Blood vessels can become restricted and the flow of blood can stop. Breathing can become laboured and the stomach wall can literally tear. If not treated quickly enough, bloat can be fatal. In addition to eating quickly and/or exercising after eating, bloat can also be caused by stress and having only one meal a day. Regardless of the cause, bloat should always be considered an emergency and medical assistance should be sought straight away. 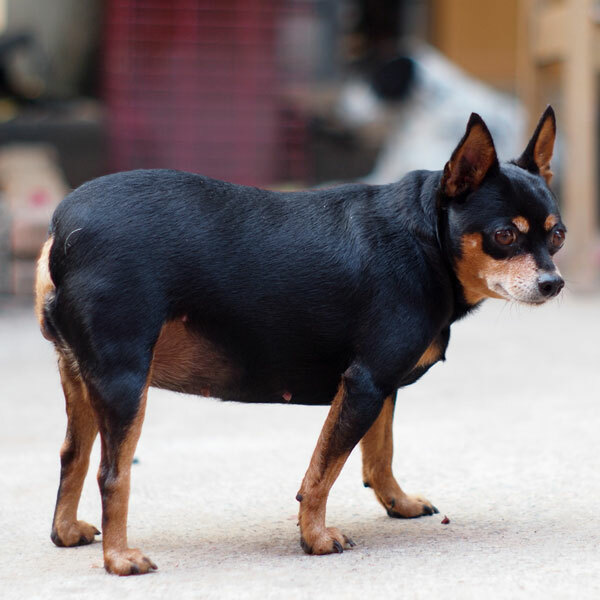 Dogs tend not to be particularly fussy about what finds its way into their stomach. If it’s tasty, it’s fair game, and even some things that are not tasty can still be swallowed. This can cause obvious problems, and could lead to the need of emergency assistance. Eating the wrong substances can cause adverse reactions and cause your pet to become very ill. Toxic or corrosive substances need can be fatal if not dealt with immediately, so you should try and leave anything potentially dangerous out of their reach. Viral and bacterial infections can also cause your pet to become very ill. Solid objects can block passageways and/or cause physical damage to sensitive tissues within in the body. 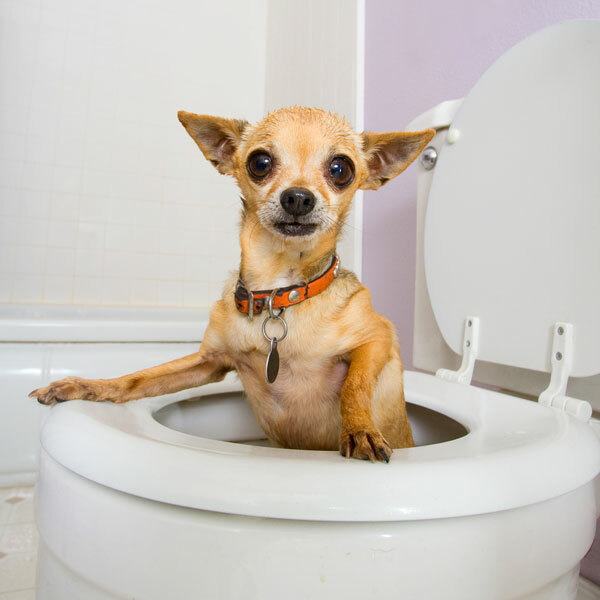 There are numerous potential causes for vomiting and diarrhea in your pet. Many will pass. Many others, however, can be extremely serious. Don’t take any chances. Play it safe. If your dog has is vomiting or has diarrhea, take them to the vet as soon as possible. Intervertebral disc disease, or IVDD, is a fairly common ailment among dogs, and is something that requires immediate treatment. If your dog appears to be paralysed, it’s a good indicator that they have contracted the disease. Paralysis could also be caused by damage to the spinal cord or another part of the central nervous system. No matter what the cause may be, immediate medical assistance is required. 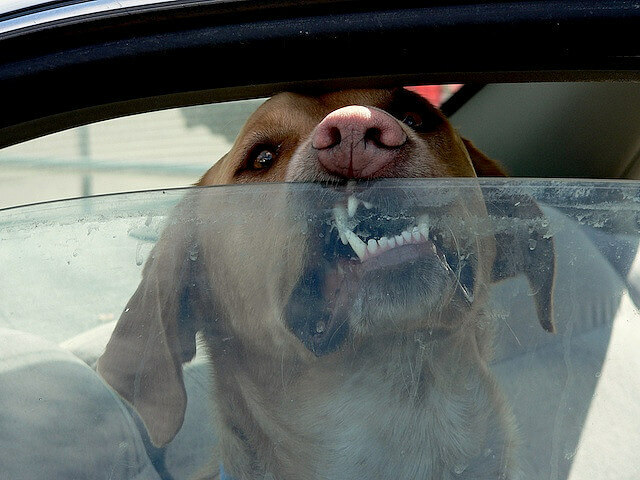 Dogs use their sense of taste as a way to explore their environment. They also tend to have strong appetites and will happily eat pretty much whatever food comes their way. This means that they can ingest toxic substances such as cleaning products or pest control poisons. In addition, chocolate, opinions, garlic, xylitol, caffeine and some nuts are toxic to dogs and cause them to become ill. Some can even be fatal. If you think that your dog has become poisoned, don’t waste any time before taking them to a vet. Dogs have a tendency to get into scrapes. Fights with other dogs are fairly common and skirmishes with cuts can also leave them with injuries. Explorations in undergrowth can also bring your pooch into contact with wildlife, causing them to pick up all sorts of nasty bites, stings and scratches. Venomous bites and stings can range from being irritating to fatal. Large wounds can cause loss of blood and could cause your pet to go into shock. Even smaller wounds can become infected and become extremely hazardous if not treated. If your pet has been in a scrape, especially with an animal larger than itself, it could also be suffering from internal injuries. A check up at the vet could literally save their life. Heart disease, heat stroke, laryngeal disease and low blood sugar are just a few of the many reasons why your pet might collapse. If medical treatment is found fast enough, there is usually a good chance that your pet can be treated and will make a full recovery. The longer you leave it, though, the lower the chance of them surviving. Diagnosing and treating the cause of a collapse requires expert knowledge and equipment. In the case that your dog has collapsed, get them to the vet immediately. 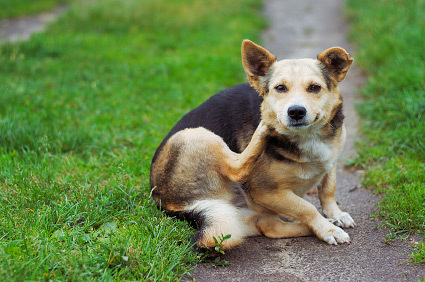 Insect stings and bites, medications and vaccinations, among other things, can cause severe allergic reactions on your pet. They can also be caused by certain foods, inhaling allergens and coming into physical contact with allergens. The severity of allergic reactions can range from mild irritation, to death. If your dog has allergies that you are aware of, then you should do what you can to prevent them from coming in contact with them. A severe allergic reaction would often be considered to be an immediate emergency. Bleeding in the abdominal cavity can be caused by a number of factors, and should always be considered an emergency. Expert medical knowledge and equipment is required to diagnose and treat such internal bleeding. Surgery may be required to save your pet’s life, although there is a reasonable chance of them making a full recovery if they are treated in time.